Uppsala University (UU) is the oldest university in Sweden with about 40000 students and over 5000 employees pursuing research and education over a broad range of disciplines. The Uppsala University members of VAMDC are working in the Department of Physics and Astronomy. Besides astronomy, research at the department includes basic and applied topics such as string theory, particle physics, nuclear physics, atomic physics, and material science. The Division of Astronomy and Space Physics comprises around 40 people. The research focus currently lies in the area of stars and their environments; that is, the study of planetary systems, of stars and their physics, the interactions between stars and planetary systems, and stars as building blocks of galaxies. Further, basic physical processes are being studied in great detail. In all of these areas a strong connection between theory and observations has been the key to past and continued success. UU is an active participant in a number of large international research collaborations such as CERN (the European Organization for Nuclear Research), ESO (the European Southern Observatory), and ESA (the European Space Agency). The picture above shows the physical location of the Uppsala VAMDC partner in the so-called “Ångström Laboratory”, featuring a 90cm telescope used for educational purposes. Uppsala University (UU) has been one of the key members of VAMDC from the beginning, with major contributions to the standards definition and the software that implements them. UU also developed and maintains the VALD database, one of the data nodes offered through VAMDC. VALD served in may ways as the prototype for other data nodes implemented in VAMDC. Through our experience with VALD (http://vald.astro.uu.se/) UU is a strong representative of the atomic spectroscopy community within VAMDC, ensuring that the related fields of research, like astrophysical spectra, are well covered by what VAMDC can do. As a VAMDC node, UU also contributed to the design, development and documentation of the VAMDC NodeSoftware that runs on the majority of VAMDC data nodes. The NodeSoftware’s flexibility, easy maintainability and robustness is a cornerstone of the VAMDC infrastructure. The future evolution of the software will be led by UU as well. In connection to this, UU provides support to other data providers to set up and operate their respective data nodes. UU operates and maintains a web application that allows for quick browsing and editing of the VAMDC Dictionary of keywords, which is part of the Standards and the query language. UU also developed several Processor Services, the second class of VAMDC web services apart from the data nodes. For example UU operates a Processor that converts the XSAMS data format into correct input for the wide-spread tool Spectroscopy Made Easy (SME), another development with crucial UU involvement. In addition, UU is actively developing a Processor for spectral synthesis calculations. Once more, the reference implementation has been spun off into several useful services. 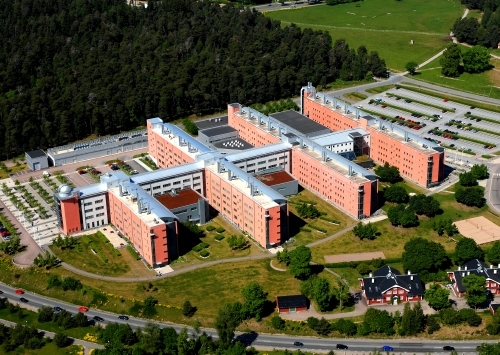 The Department of Physics and Astronomy at Uppsala University hosts the VALD database. VALD is a collection of atomic and molecular transition parameters. While VALD originally focused on data that is of interest to the astrophysical community, the database is now used across many fields. VALD is regularly updated with critically evaluated data sets. The VALD project team experts investigate the statistical properties of the data, extensively compare the results obtained with different data sources, and establish the quality rating for each new source which is a basis for data selection. In addition to atomic and molecular line data VALD offers tools for selecting subsets of data for typical astrophysical applications such as line identification, preparing for spectroscopic observations, chemical composition and radial velocity measurements, model atmosphere calculations etc. The research focus of Uppsala University VAMDC members currently lies in the area of stars and their environments; that is, the study of planetary systems, of stars and their physics, the interactions between stars and planetary systems, and stars as building blocks of galaxies. UU also participates in the development of spectropolarimetric instruments and dedicated data reduction techniques, and in studies of basic physical processes of atoms and molecules.